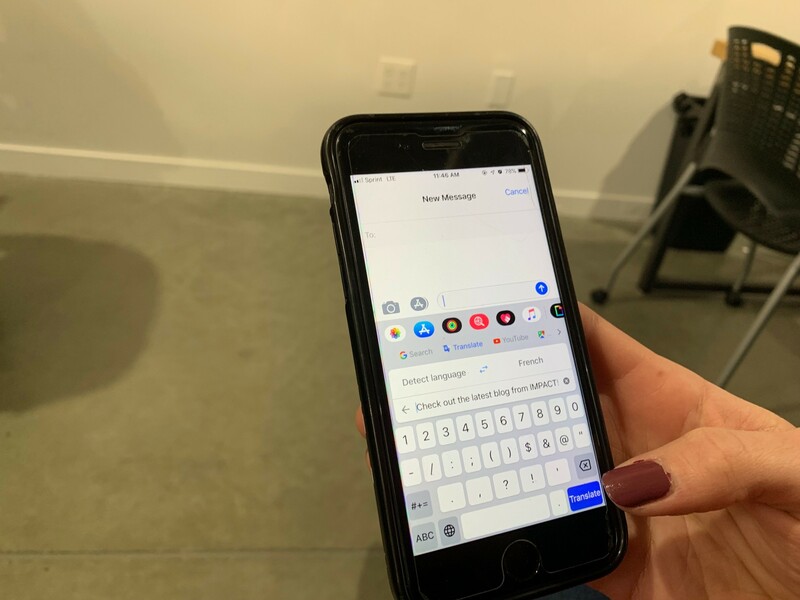 Google’s third-party keyboard app, Gboard, has received an exciting update for iOS users. It now has the ability to translate what you’re typing into 103 different languages. While Android users have had this feature since 2017, it’s finally become available to the over 1.3 billion apple devices around the world, making international communication much more accessible than it's ever been. 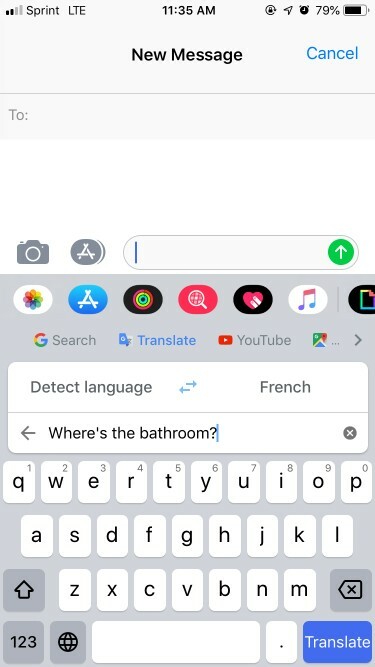 With this update, users are able to easily translate their words by typing their message and then clicking on the Gboard icon within their keyboard. 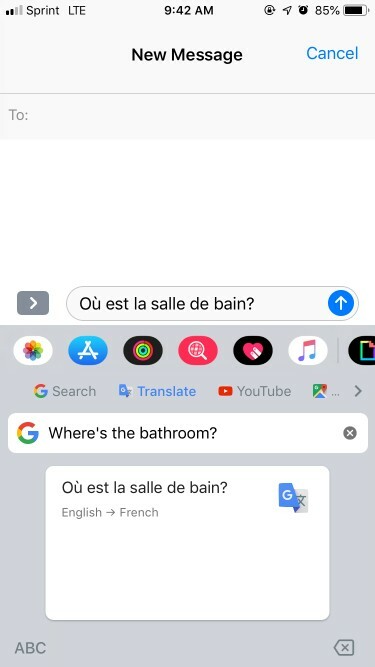 Once they’re on the Gboard, select the translate icon and whatever language you’d like the text to be in. After it translates, click on the translated text and it’ll add it to the above message. Now that this feature is available to (almost) everyone, how can you benefit from the update in your professional life? Simply put, this feature opens up communication with more audiences around the world. If you’re in an agency or other service industry, for example, you now have the ability to more easily connect with clients who may not necessarily speak the same language as you. Language barriers can make any relationship or partnership difficult, especially when you’re trying to understand someone’s pain points or concerns. When you have a language barrier with a client, there’s potential for a lot of miscommunication which results in delayed projects, extra revisions, and an overall frustration in your work workflow. This feature can help eliminate that and make clients feel more comfortable working with you. You’re able to build the trust with them because fewer things get lost in translation resulting in fewer frustrations and turmoil when communicating with them. As remote and outsourced work becomes more common, this tool can also be helpful in aiding communication internally with team members. Could SMS Marketing Be In the Future? When you think of other ways this could help marketing in the future, your number one thought should be SMS marketing. With Google Translate now on both of the biggest global mobile operating systems, it could allow you to easily share one message with a customer base around the world. Right now a lot of retail shops are utilizing this by sending out discount codes via SMS. If they trying to reach their shoppers throughout all of the world, then it’s likely they need the message sent out in a variety of different languages. The tool can translate accurately and easily to save your team time - not only in sending the message but you’ll spend less time communicating what you actually meant to say. First things first, you need to download the Gboard app from the Apple app store. Once you have it downloaded, you can start exploring the different languages it offers and start communicating with your peers and clients in a clearer way by speaking to them accurately in their native tongue. If you have international clients or some you are more confident communicating in languages you don’t have experience with, I recommend you start by adding this to the normal way you communicate with them. Reach out via text message in their preferred language. This will show them you have their best interest in mind.